This topic contains 1 reply, has 2 voices, and was last updated by Mikhail Luzyanin 2 months, 1 week ago. I’m trying to create a scene with hundreds of the same object repeated within a larger shape. Currently, my scene is millions of tris. I was able to re-build the same scene using particles, saving a ton of geometry and running MUCH faster, but now I am seeing that particles aren’t supported by Verge3D. Is there a workaround to getting particles to show up? 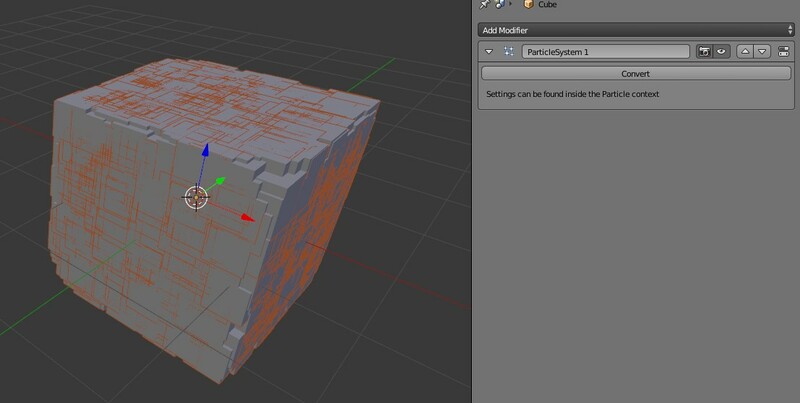 If not, is there a way in Blender to create randomized instances of an object within the volume of another object, without using particles? I’m used to Cinema4D, where you can use the “mograph cloner” to clone to another object’s surface or volume. Is there a feature similar to C4D’s cloner in Blender that works with Verge3D? Hi, you can use particle system to place your objects randomly then just convert them into simple mesh by pressing Convert button in Modyfier tab of the object. It will convert all particles into individual objects but kepp shared mesh inside of them. Or you can use one of such addon.